Projects operate in a changing and evolving environment. As the future unfolds, be confident you can handle uncertainty and are ready to make decisions quickly. Use Predict! 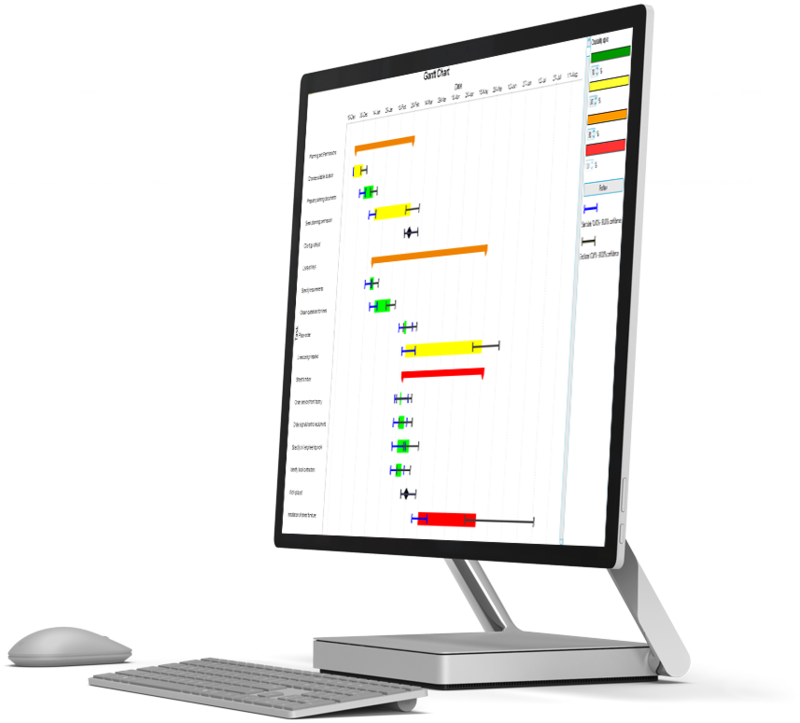 Risk Analyser to test the resilience of your schedule and budget, pinpoint key risk areas impacting project completion and demonstrate the benefit of mitigation actions. Predict! Risk Analyser is designed to do this and more, whether you’re bidding for a contract, determining contingency, calculating estimates to complete, or require assurance that your deliverables are on track at any point in your contract or project’s life-cycle. Predict! Risk Analyser adds extra discipline to performance measurement and project control. It provides reporting that shows you where to focus resources, how to justify expenditure on mitigation actions, and brings managers the confidence that project success – timely and within budget – is in hand. Everything in one place. Simple to use. Easy to learn.